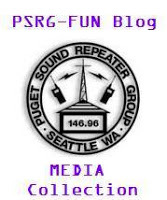 It is my privilege to present to you the Puget Sound Repeater Group’s 2015 Annual Report. You will see in this report that the PSRG continues to help foster amateur radio through communications support during events and emergencies, education to help spread knowledge and encourage participation in the hobby, and events to help first-time radio operators get on the air. During the fiscal year, which started May 1, 2015 and ran through April 30, 2016, we received over $1,000 in support from you, our amateur radio community. It is through your donations that we are able to maintain a high-class repeater experience, as well as participate in events like Field Day, and share information about amateur radio and the PSRG at area events and conferences. I thank you for your past and continued support of our mission to foster amateur radio, and I invite you to read about how your support helped us in our list of accomplishments and events we detail in our FY15 Annual Report available for download below. I’m looking forward to the 2016 Fiscal Year, including continued support of our regular events, exploring new opportunities to support our mission, and making enhancements to how the PSRG operates to demonstrate our commitment to using your donations wisely and reporting in ways that work to follow generally accepted accounting principles. This Annual Report is one step in this process and we will continue to provide these each fiscal year. On behalf of the entire PSRG Board of Directors, thank you for continued support. Without you, none of these accomplishments would be possible.